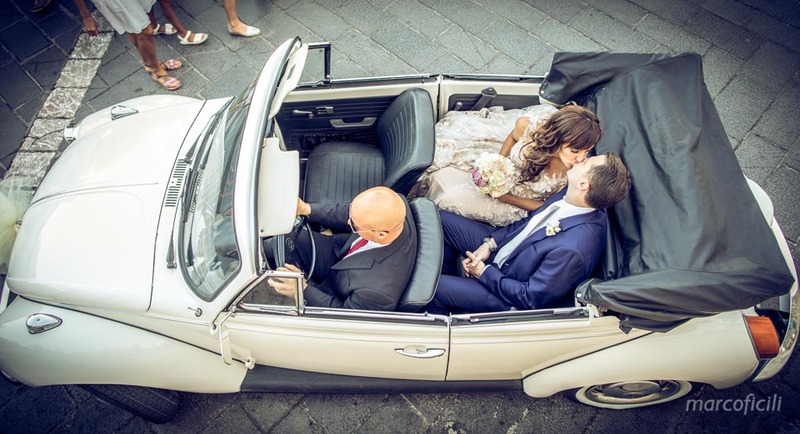 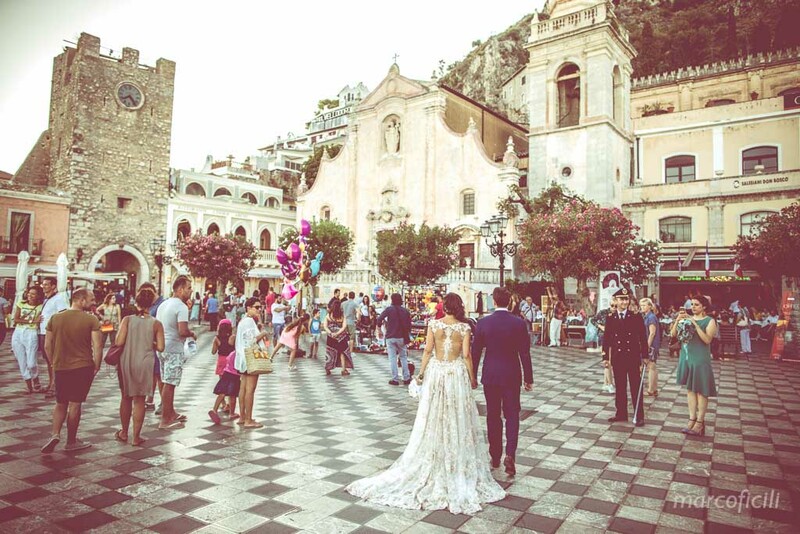 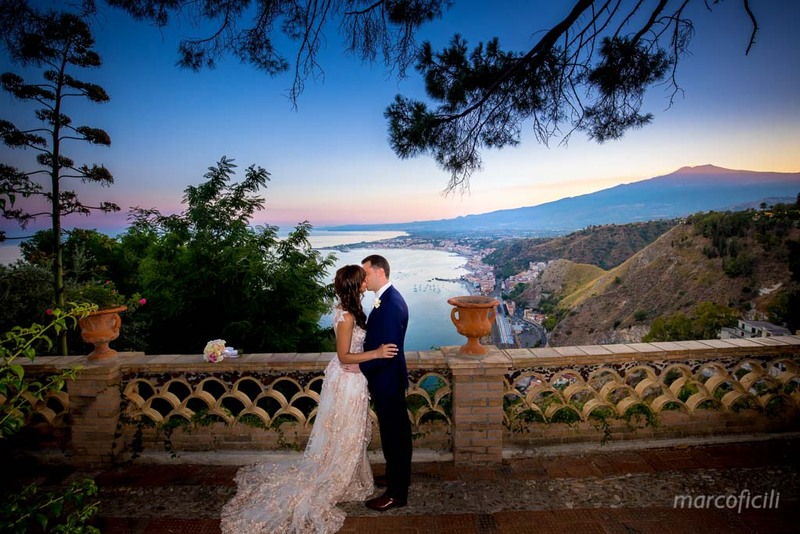 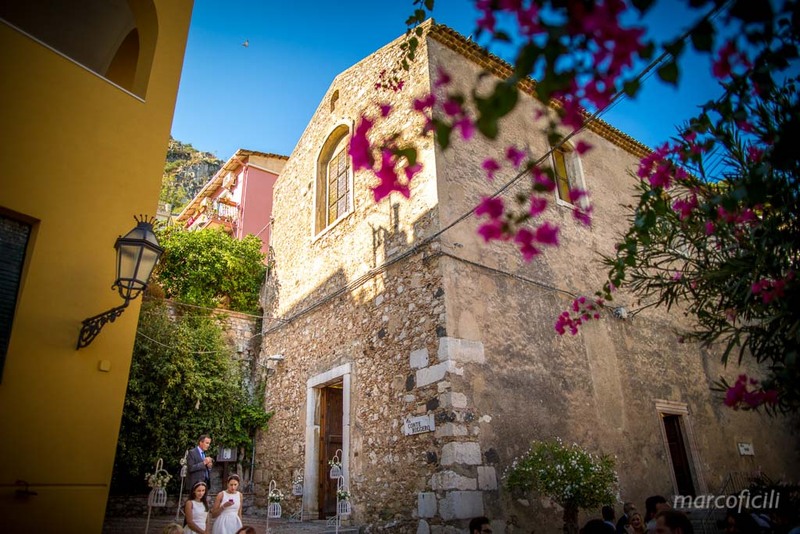 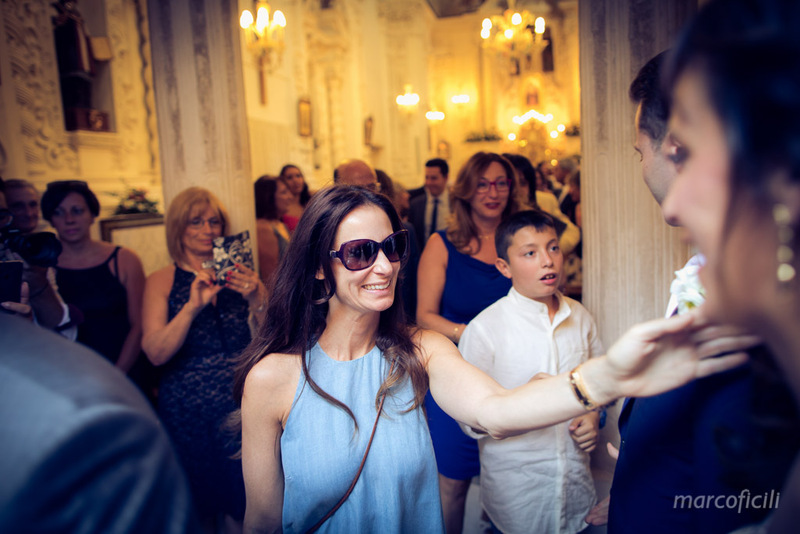 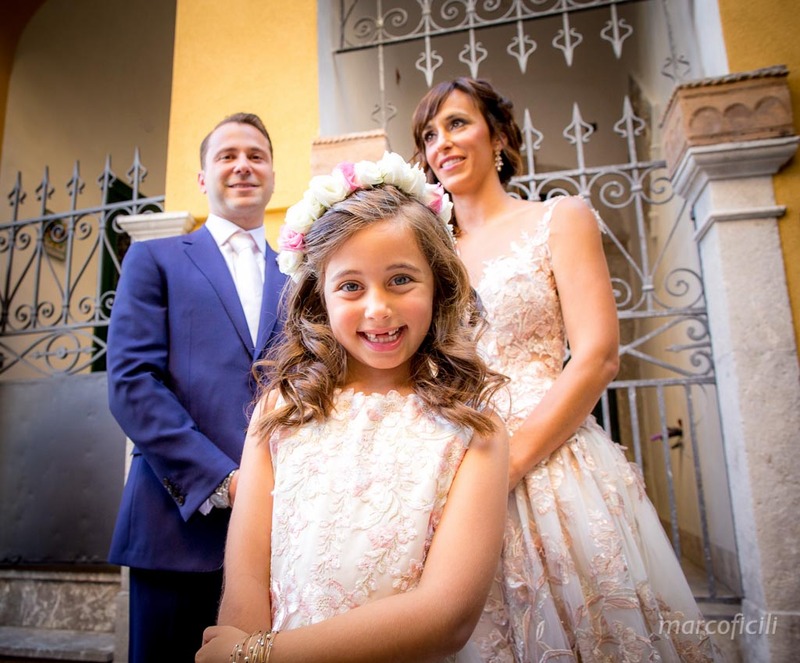 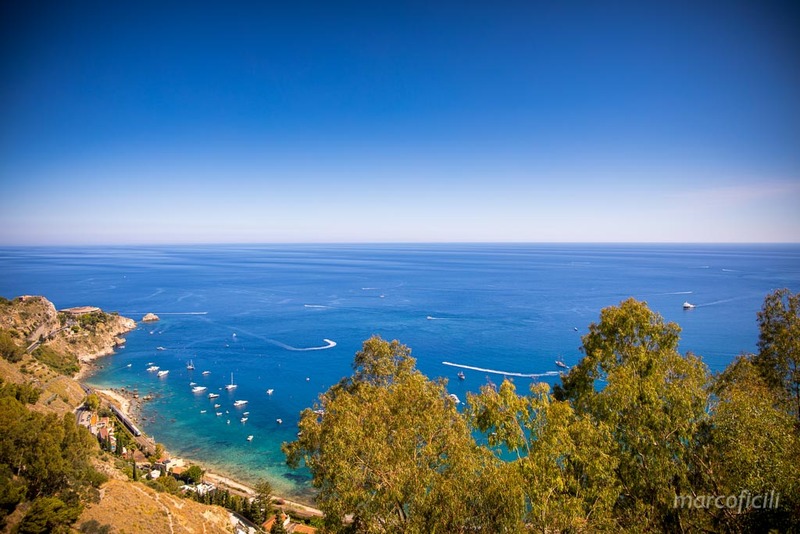 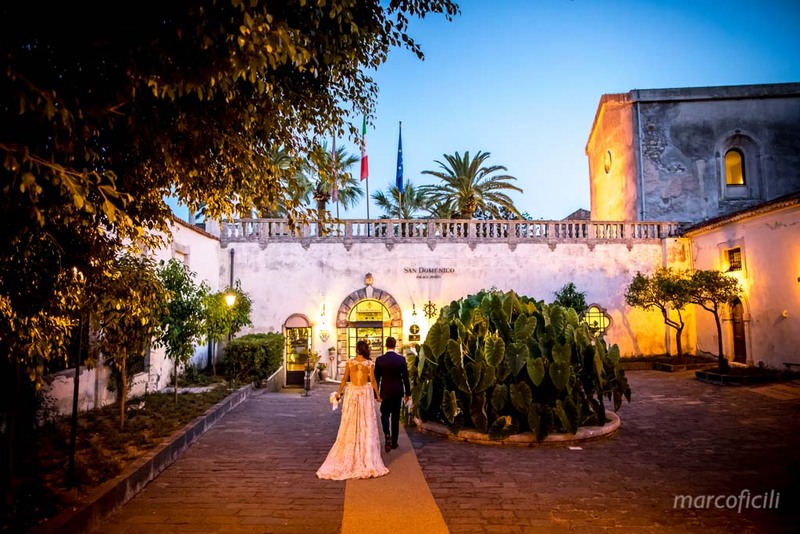 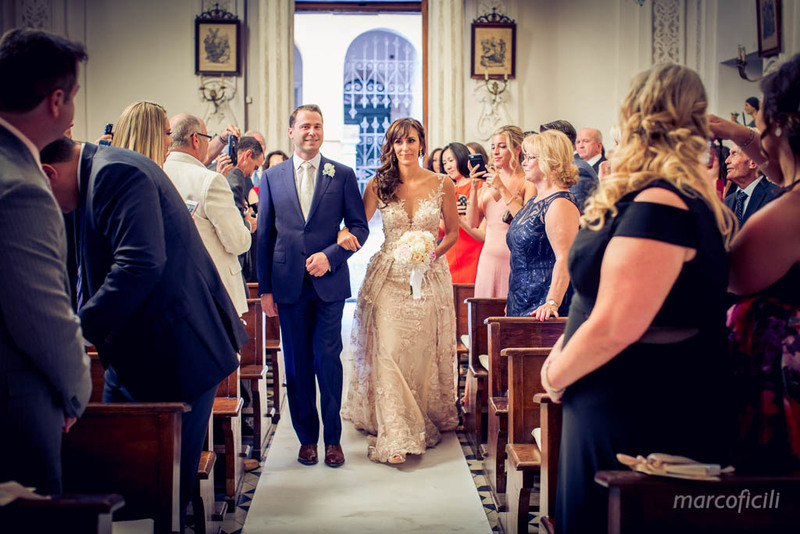 San Domenico Palace Taormina – Antonella and Ryan from New York elected Taormina as their own special place, because they love Italy and to honour their Italian families. 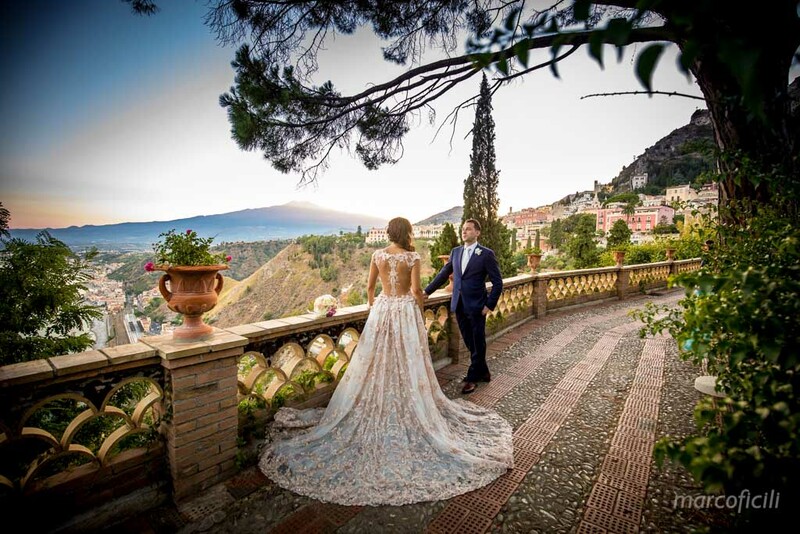 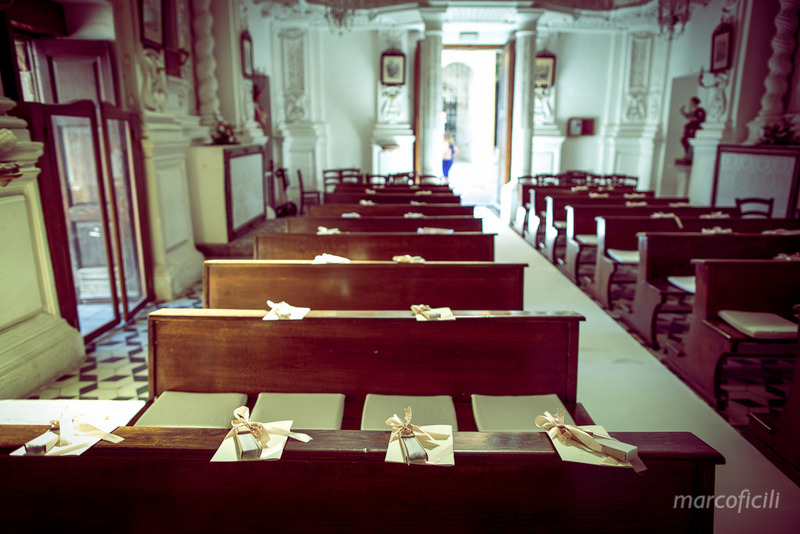 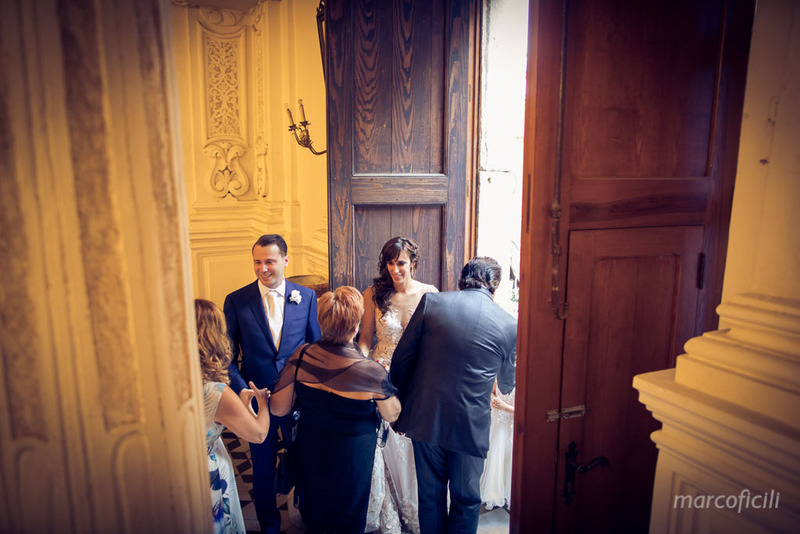 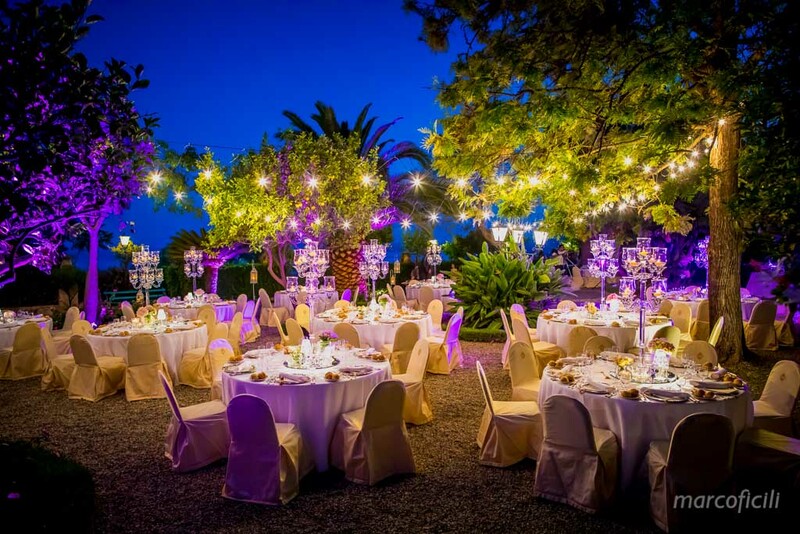 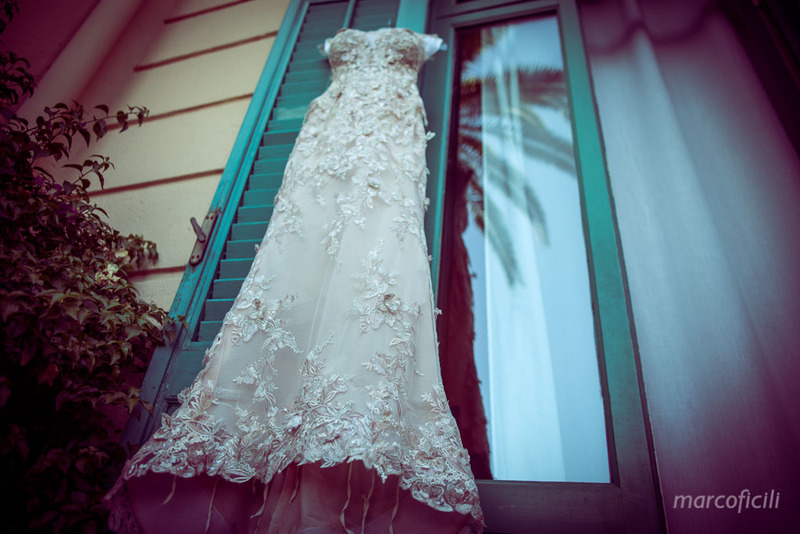 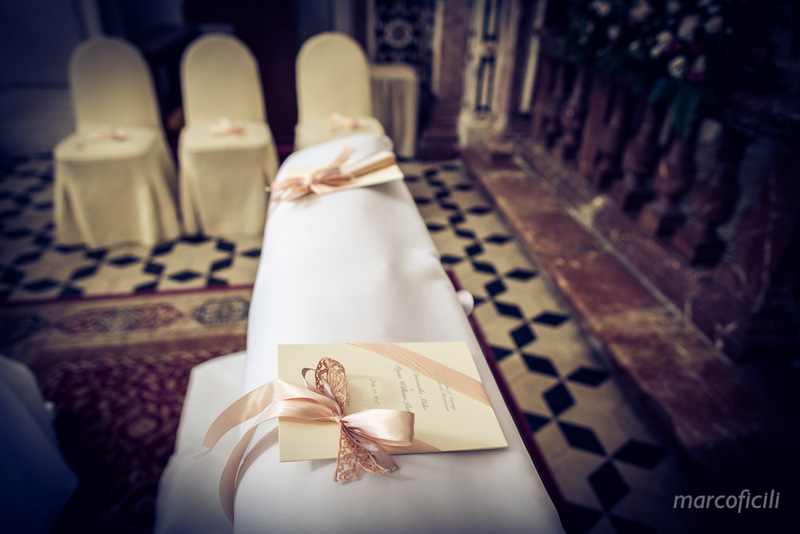 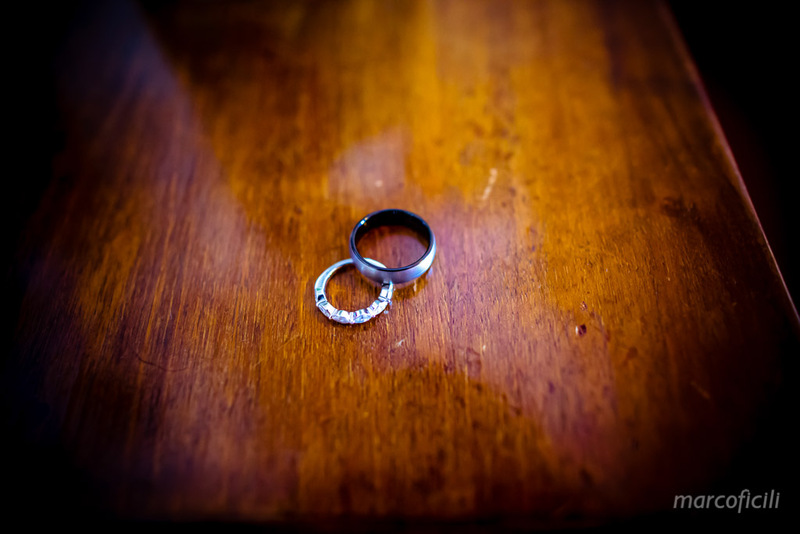 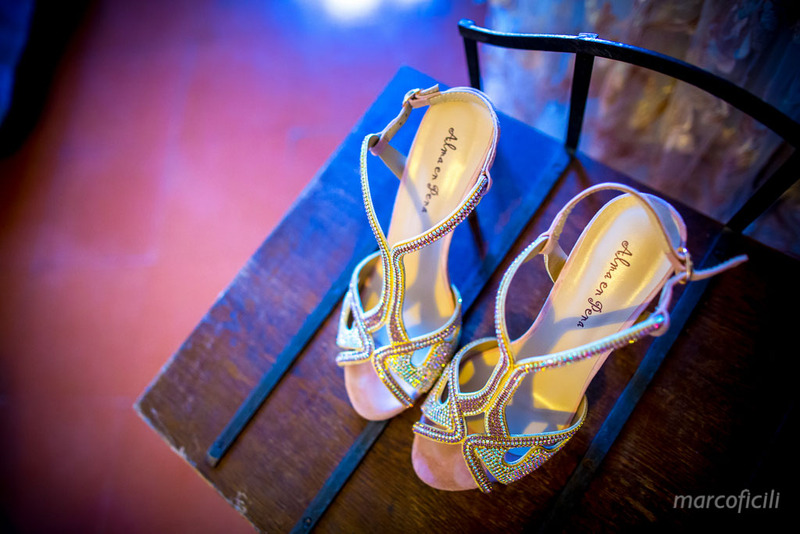 They chose the antique and prestigious San Domenico Hotel in Taormina for their getting ready and wedding party. 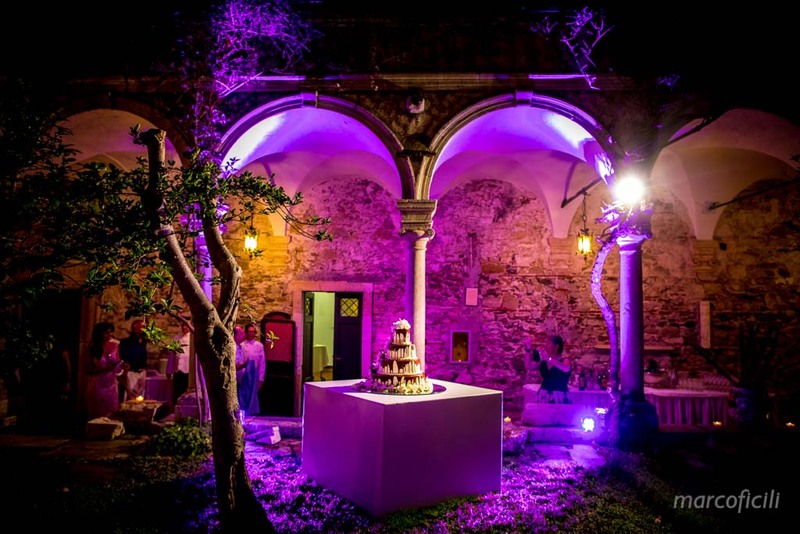 An amazing location decorated by authentic art masterpieces. 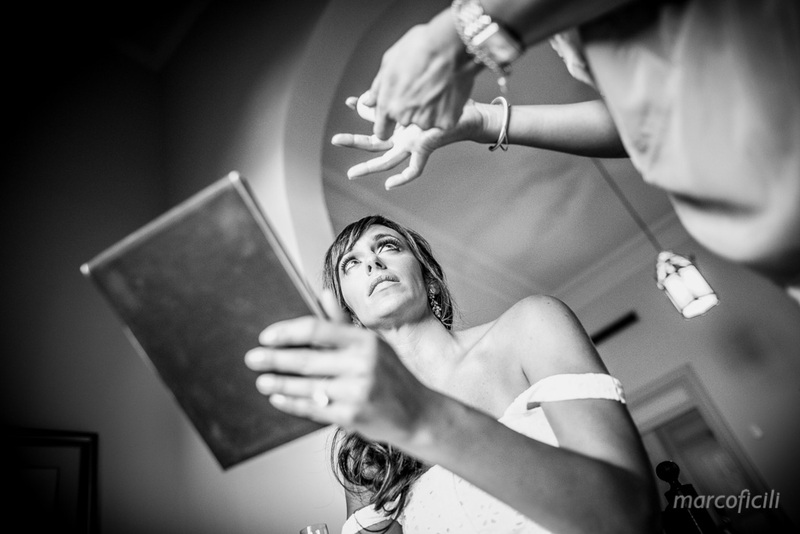 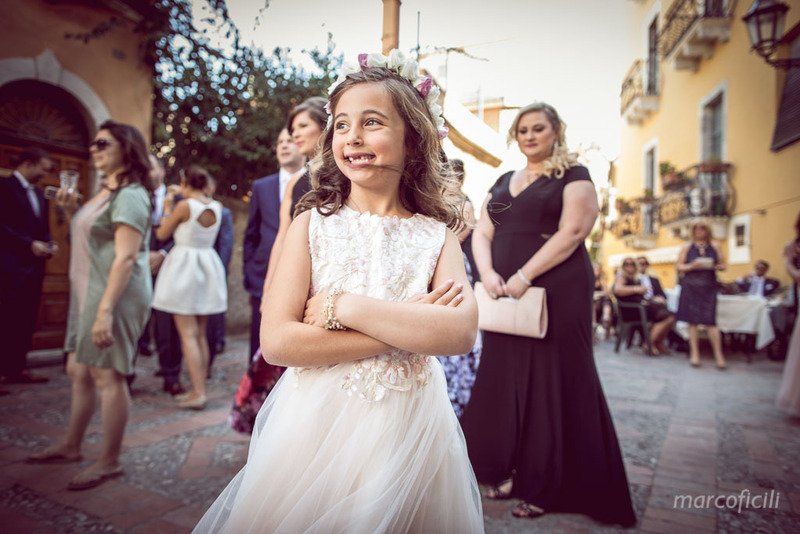 Antonella got ready in one of the elegant suites of the San Domenico Hotel in Taormina. 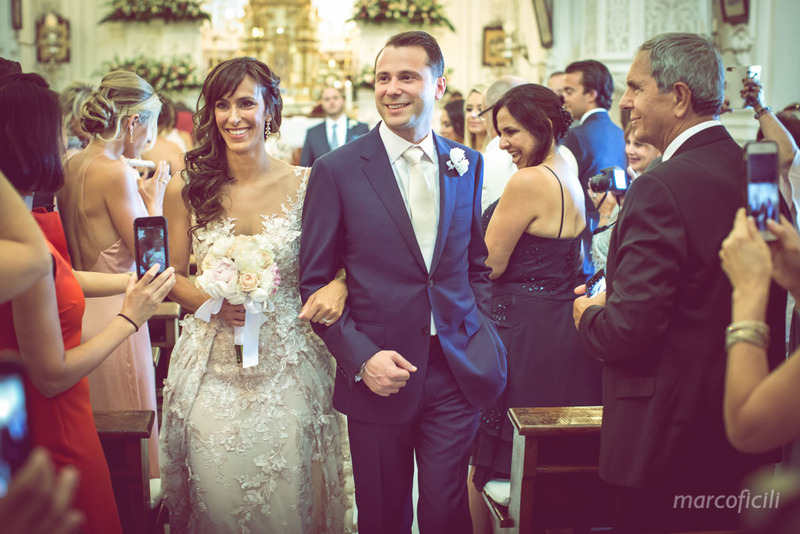 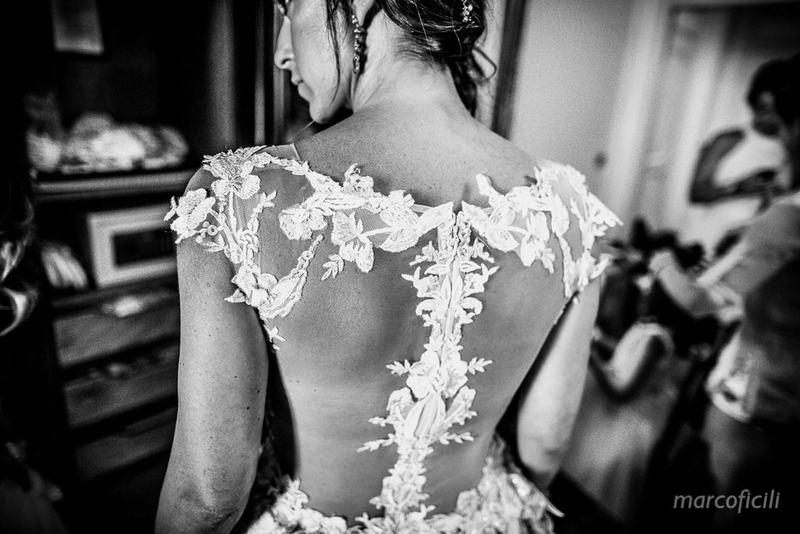 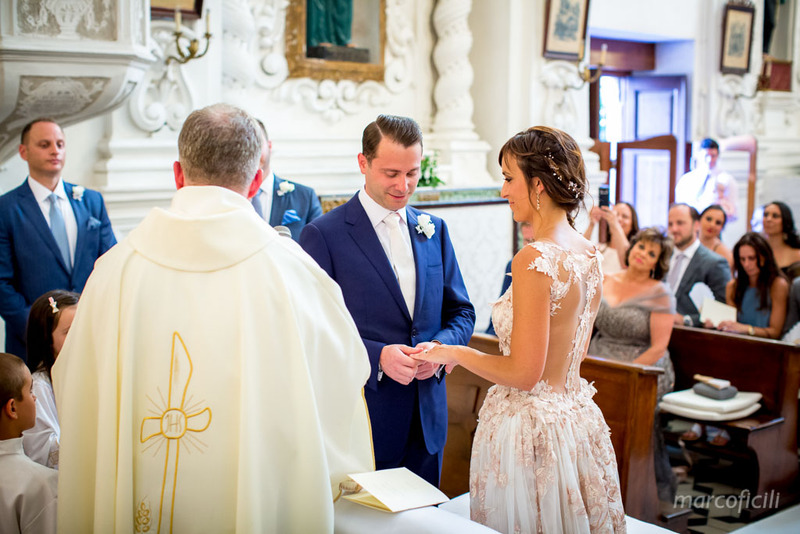 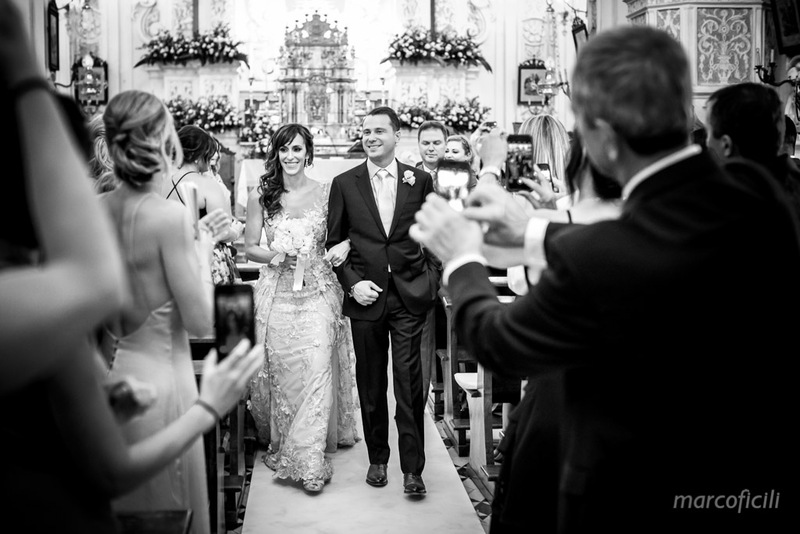 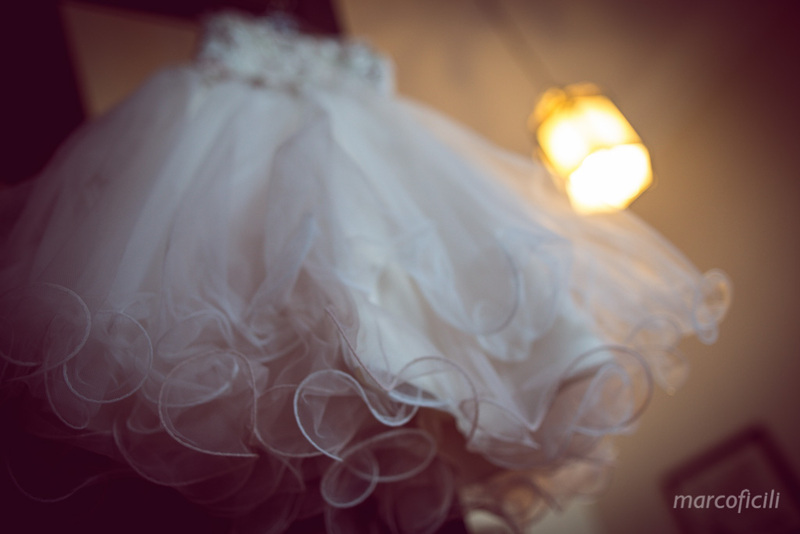 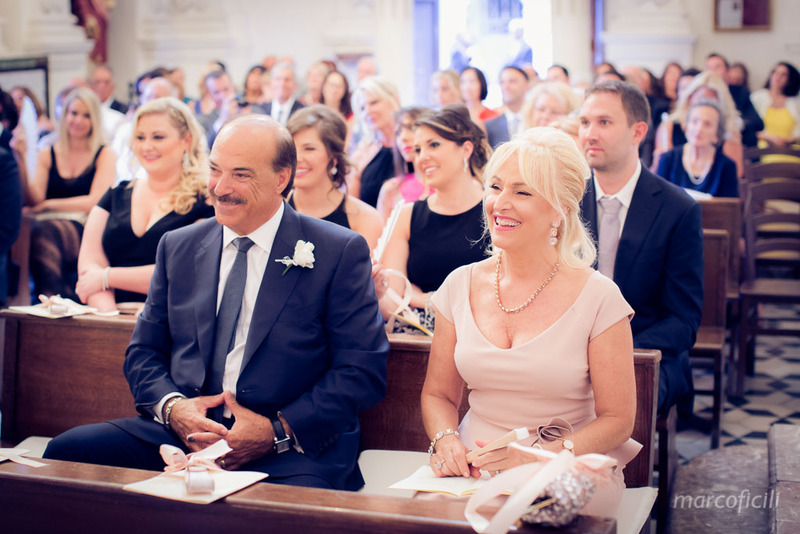 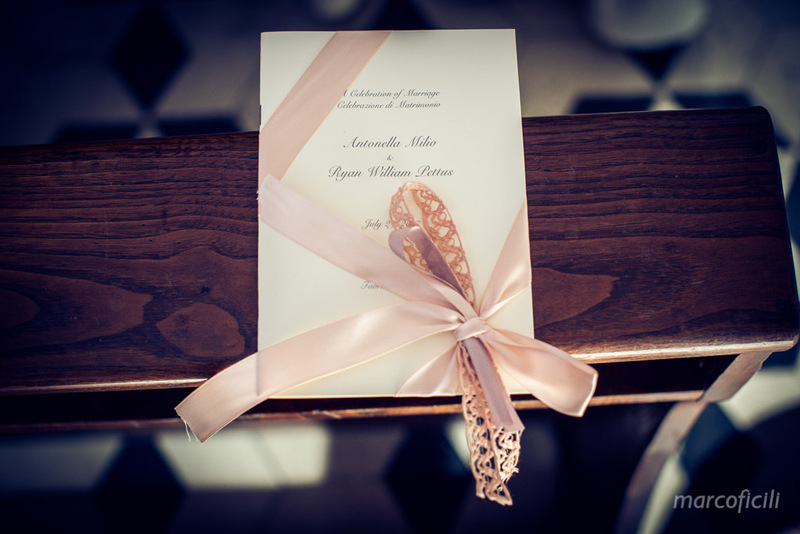 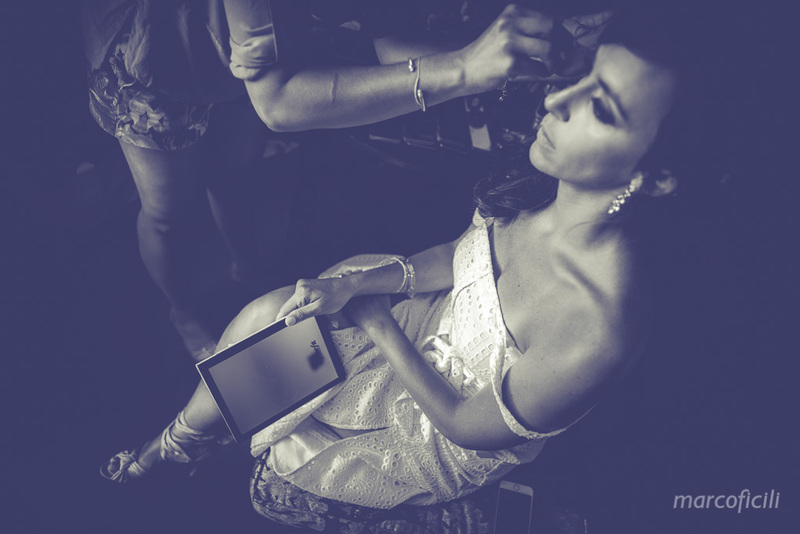 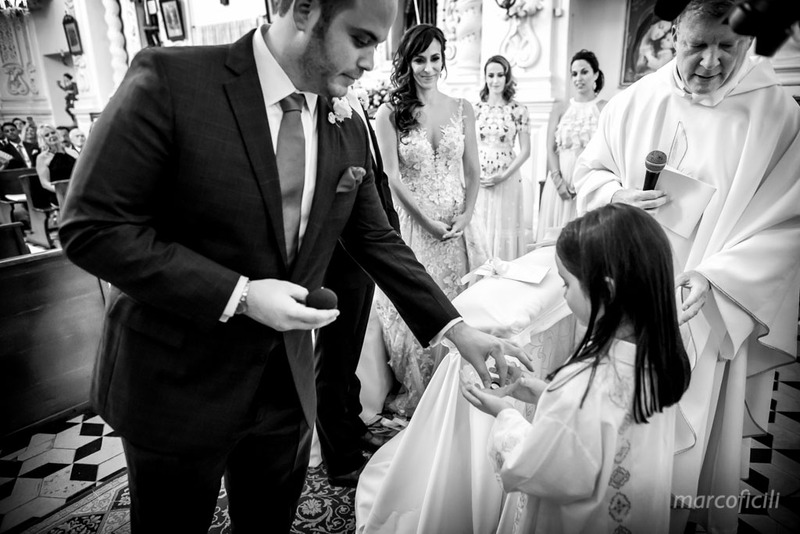 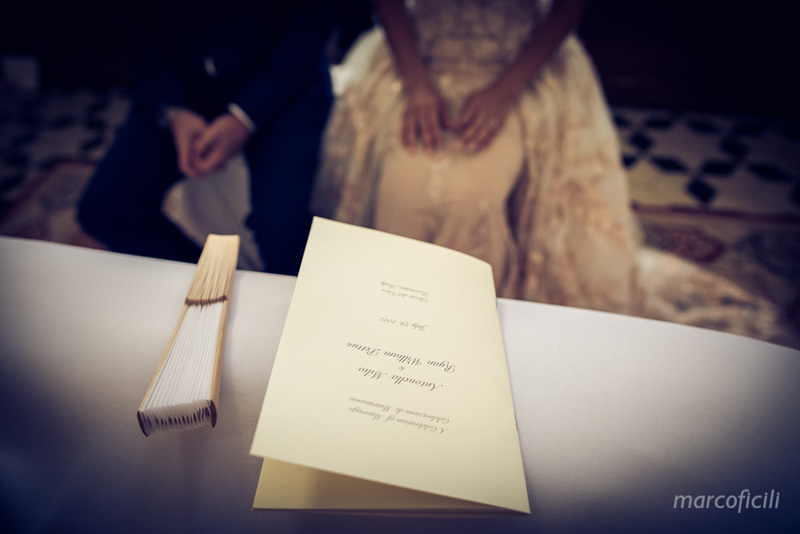 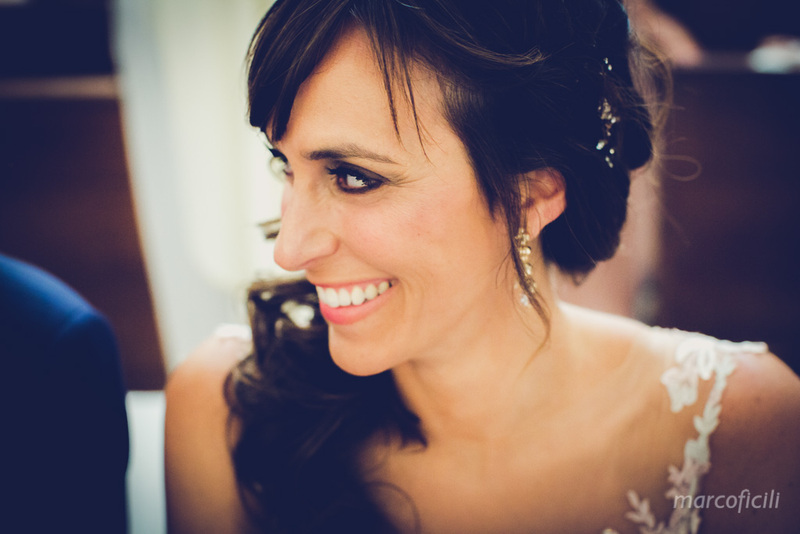 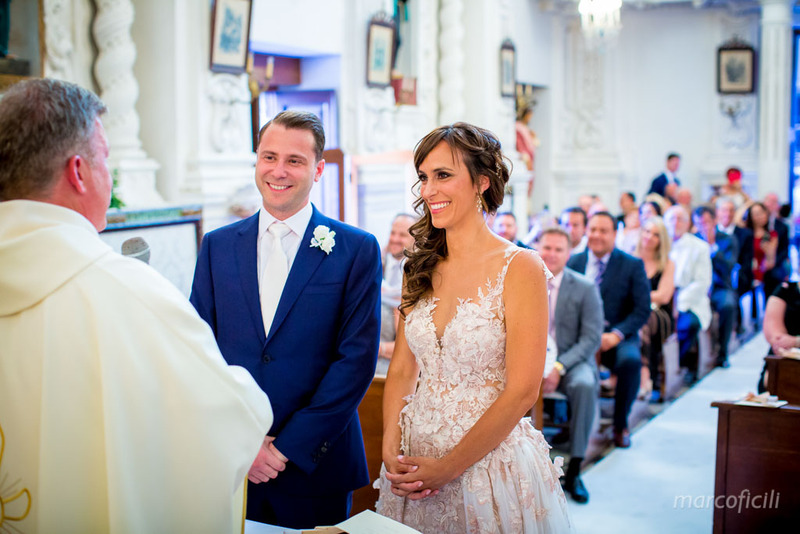 Her dress was a perfect union between tradition and a truly modern sophisticated glamour! 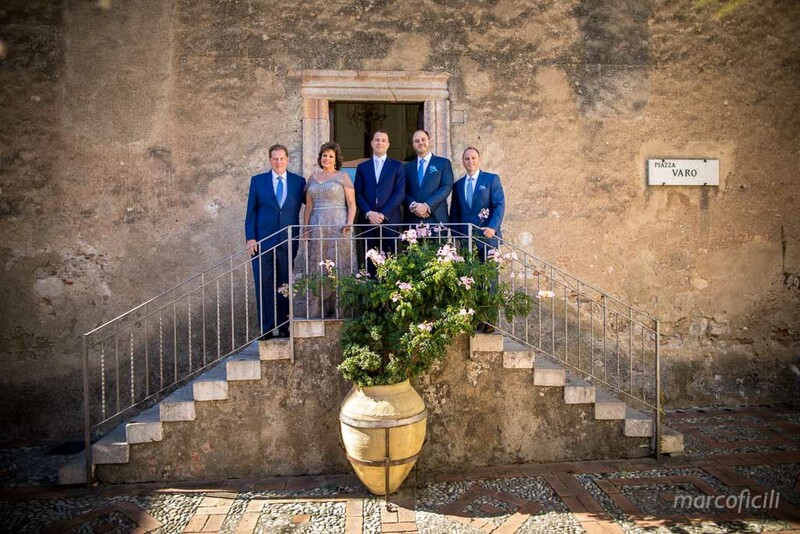 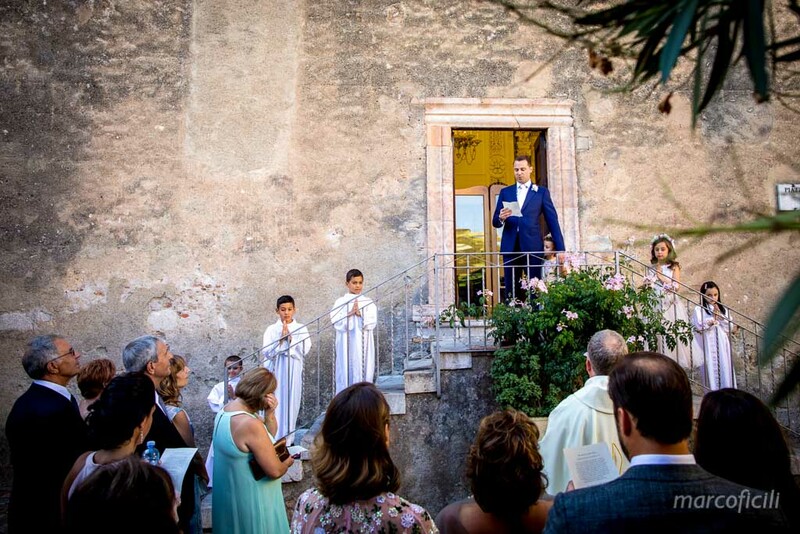 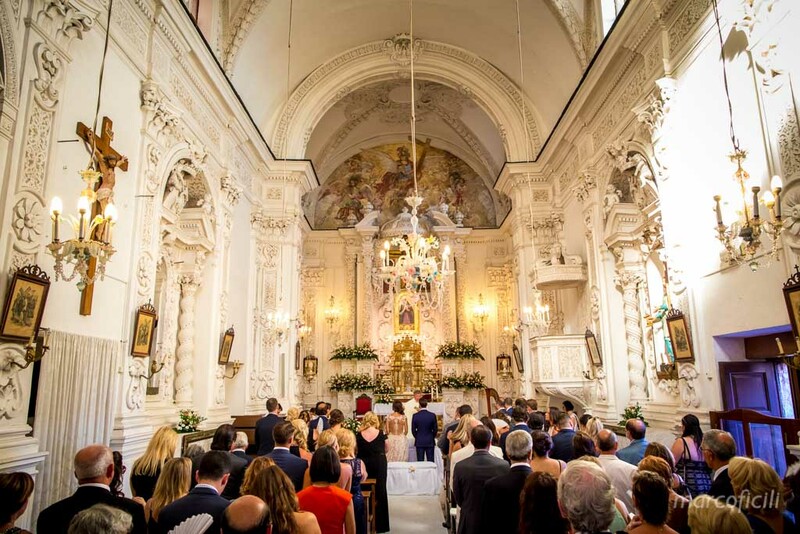 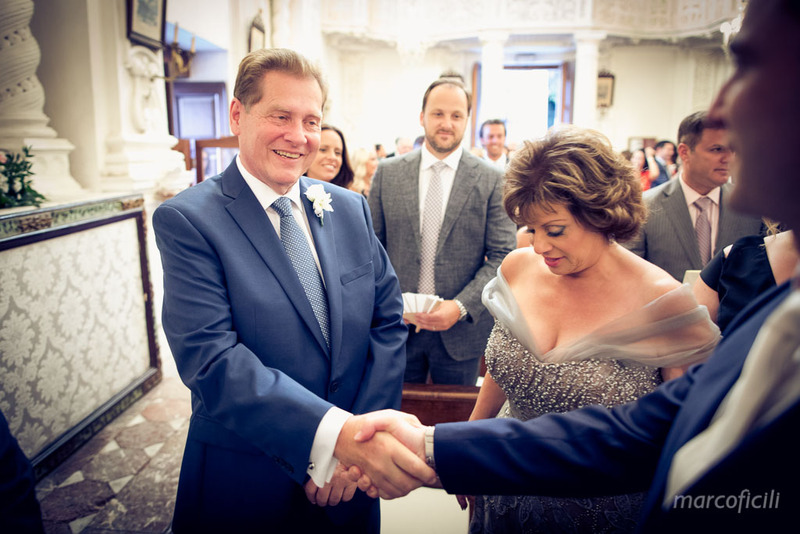 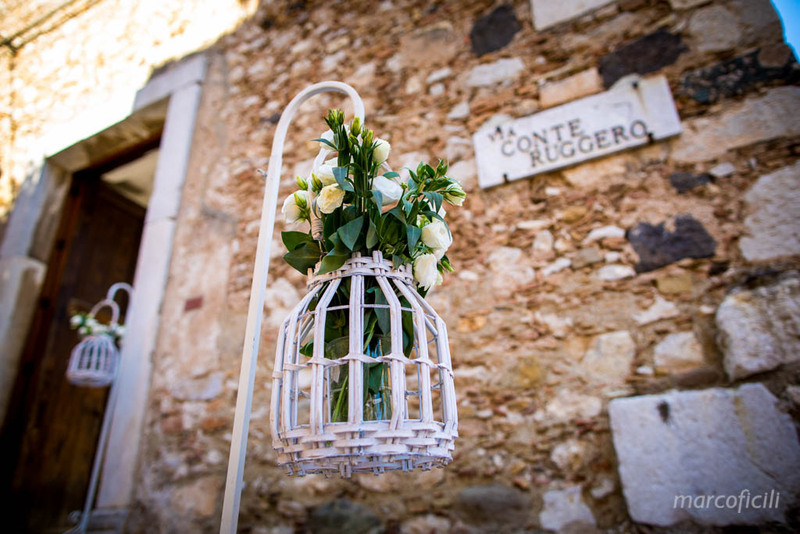 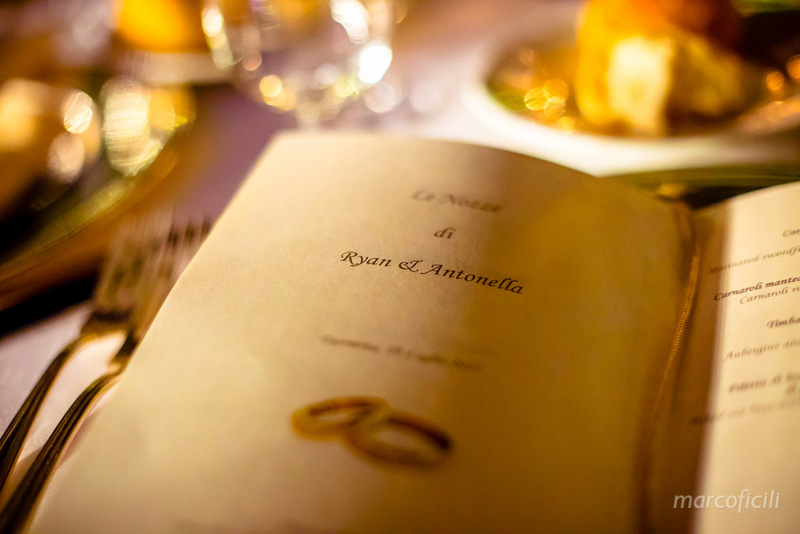 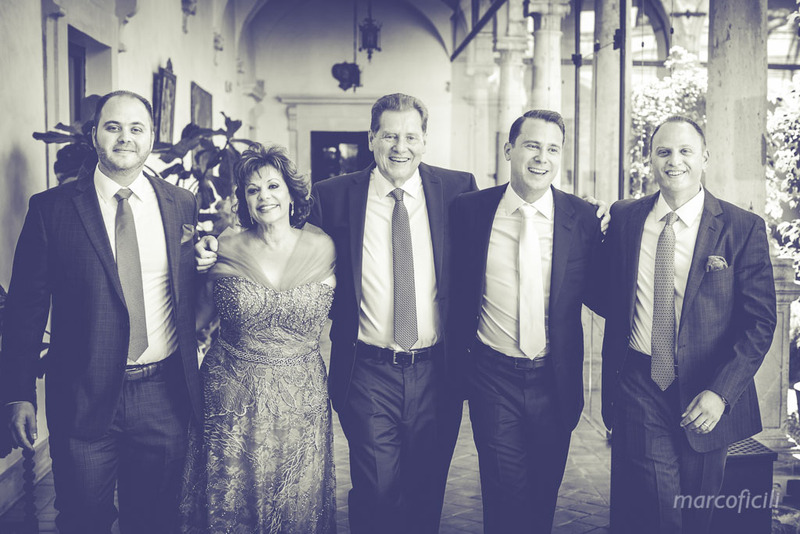 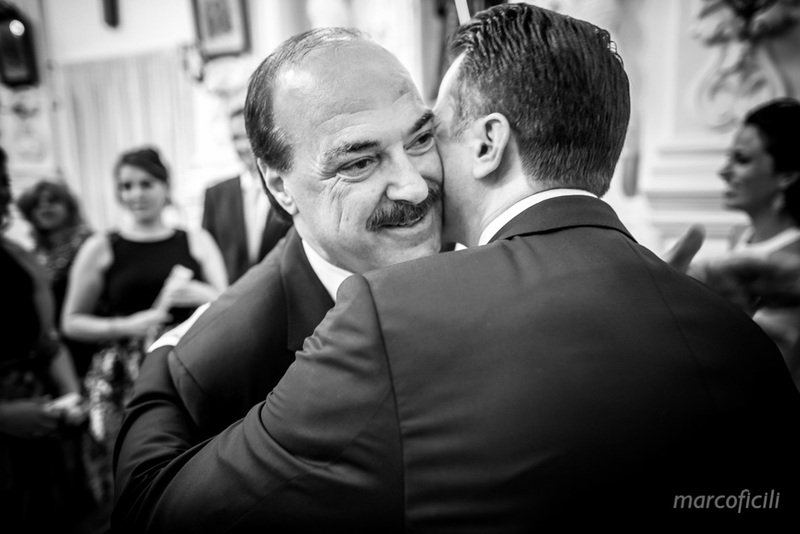 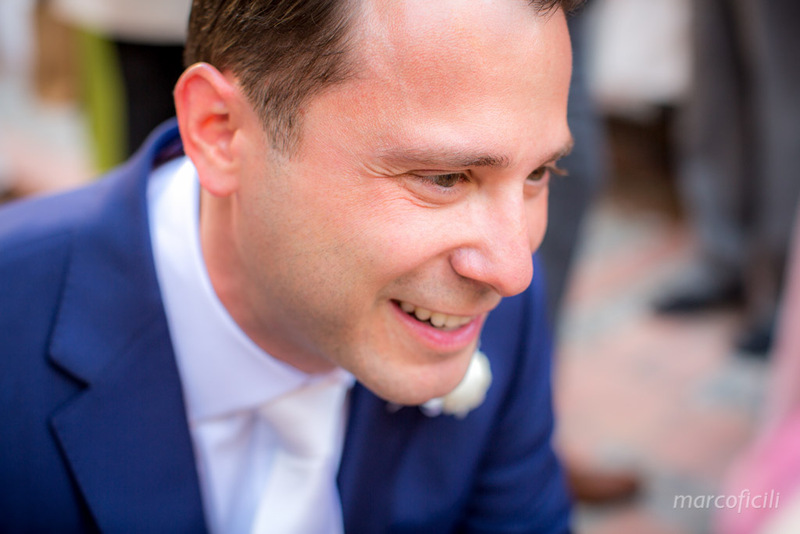 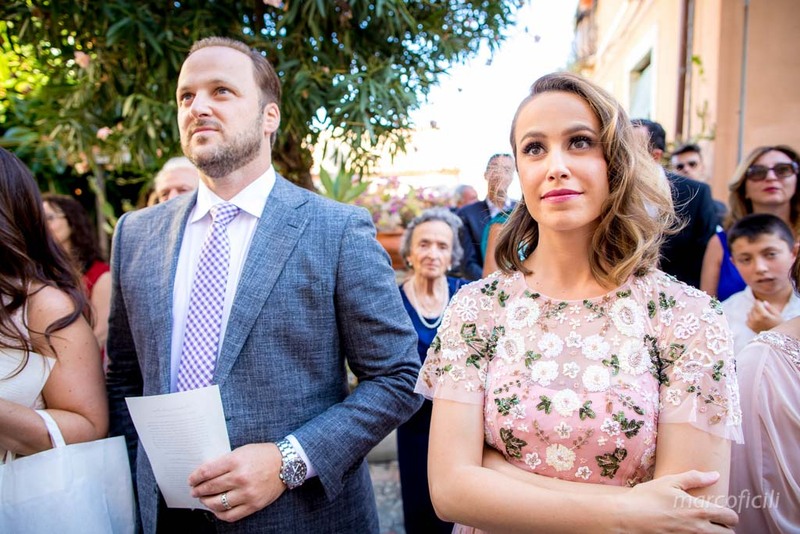 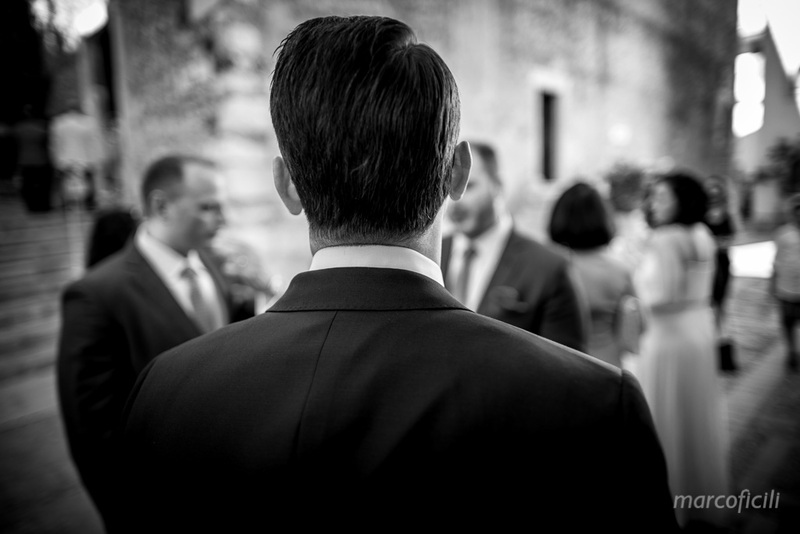 Ryan got ready with his family and groomsmen and walked from the hotel to the Church of Varὸ, a beautiful white little church, hidden among the alleys of Taormina. 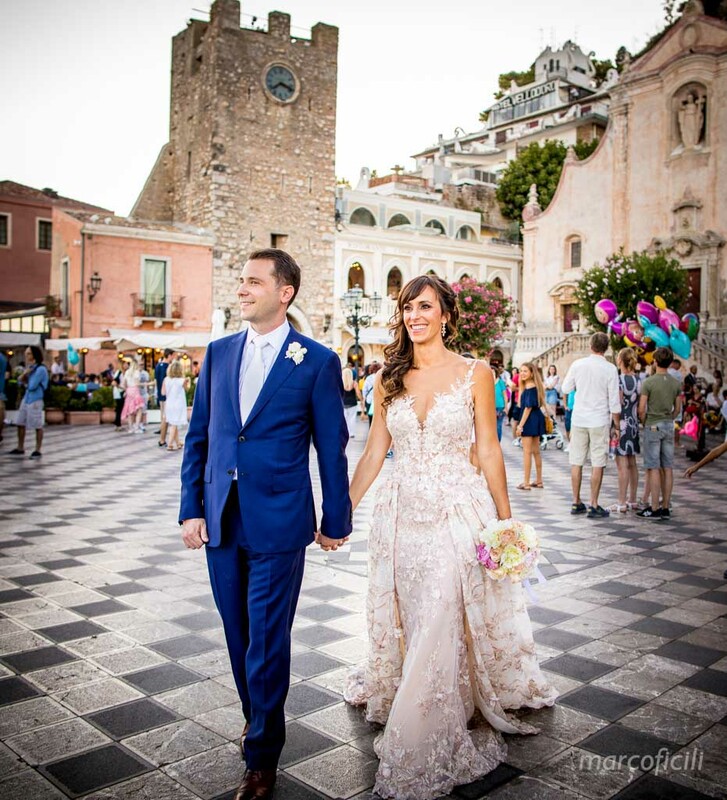 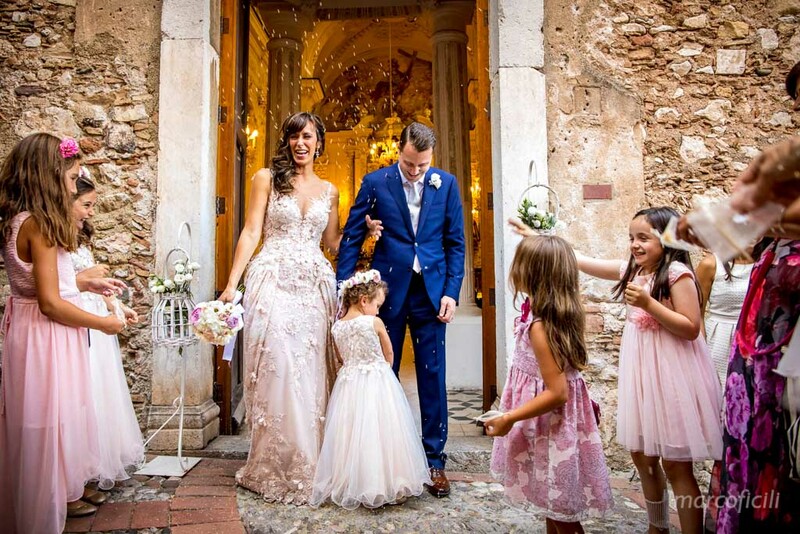 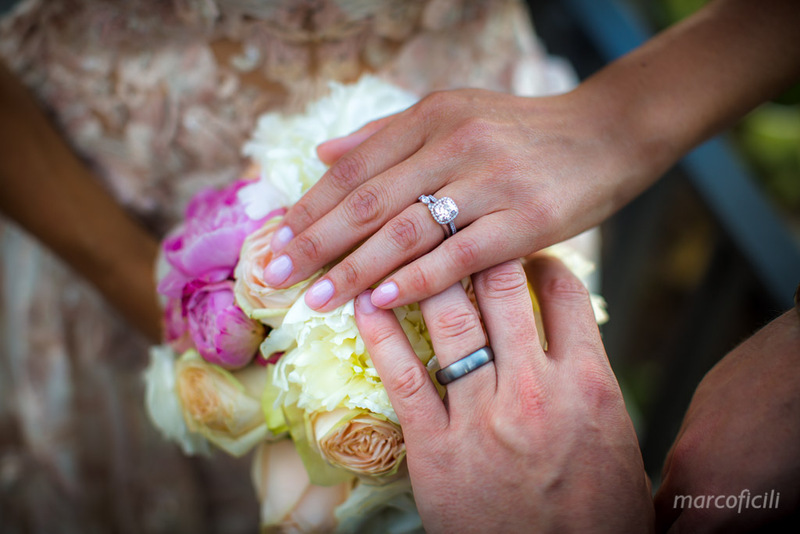 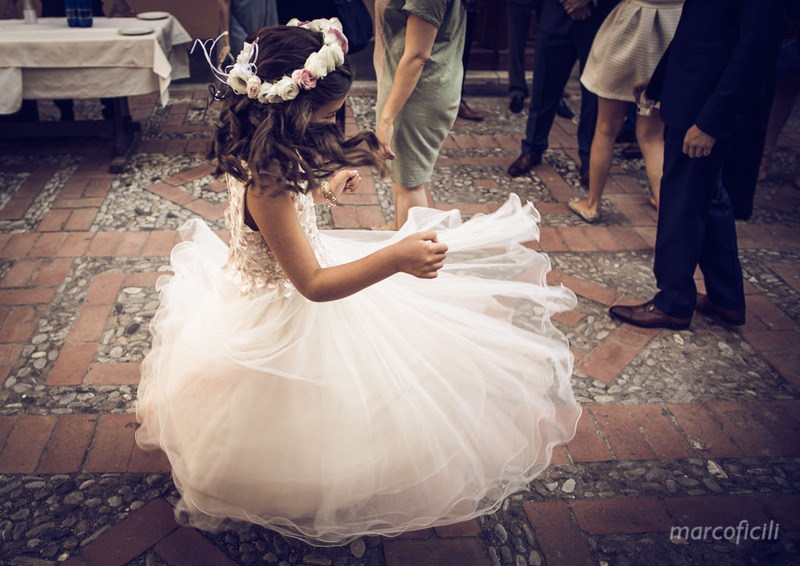 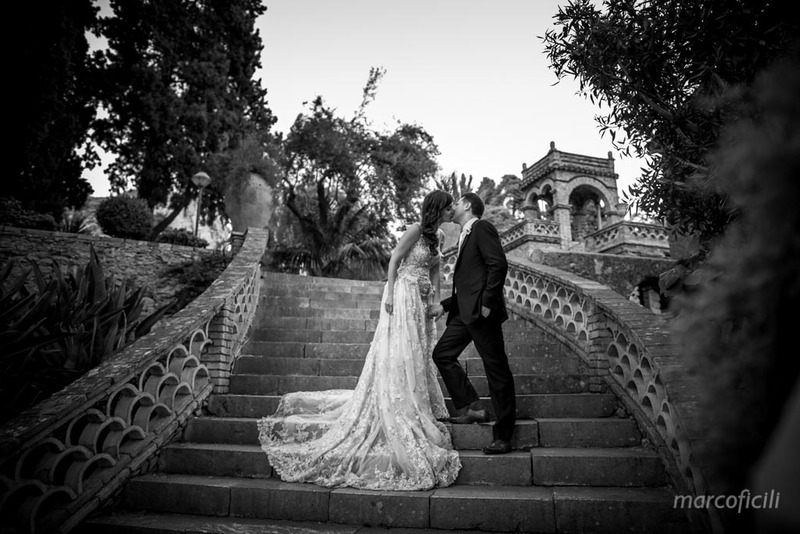 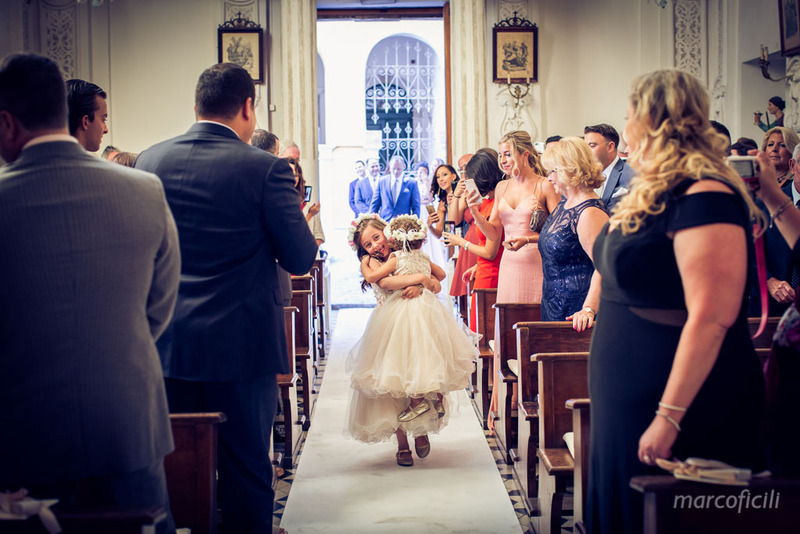 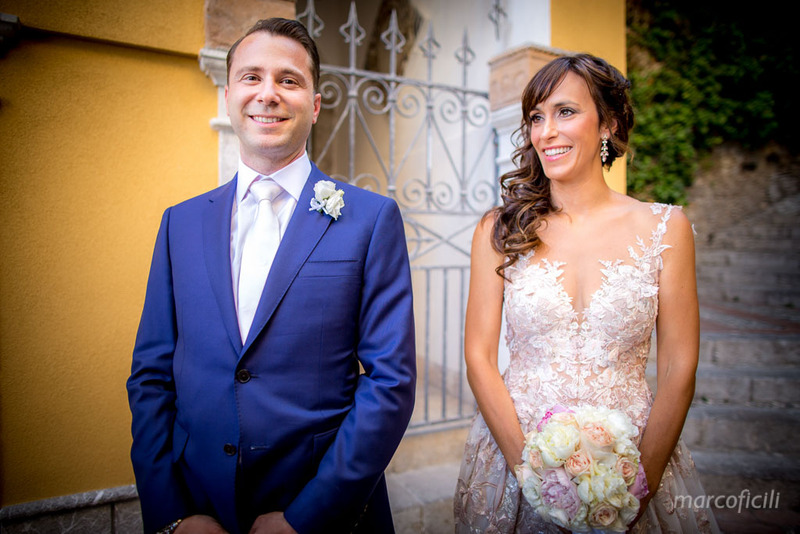 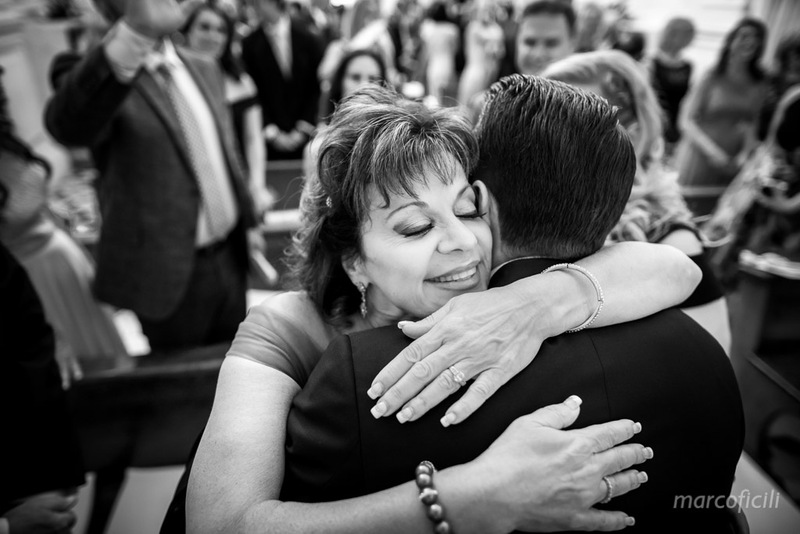 After a lovely ceremony, celebrated together with their two beautiful daughters, Antonella and Ryan walked to the romantic Villa of Taormina, a blooming garden overlooking the sea. 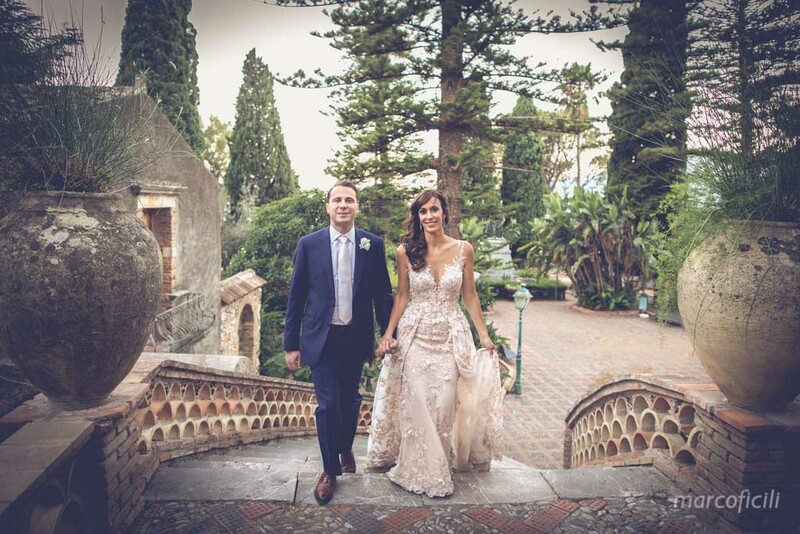 Then, just before the spectacular Sicilian sunset, Antonella and Ryan walked through the lively Corso Umberto of Taormina and reached the beutiful garden of the San Domenico Hotel for a truly Italian style aperitif. 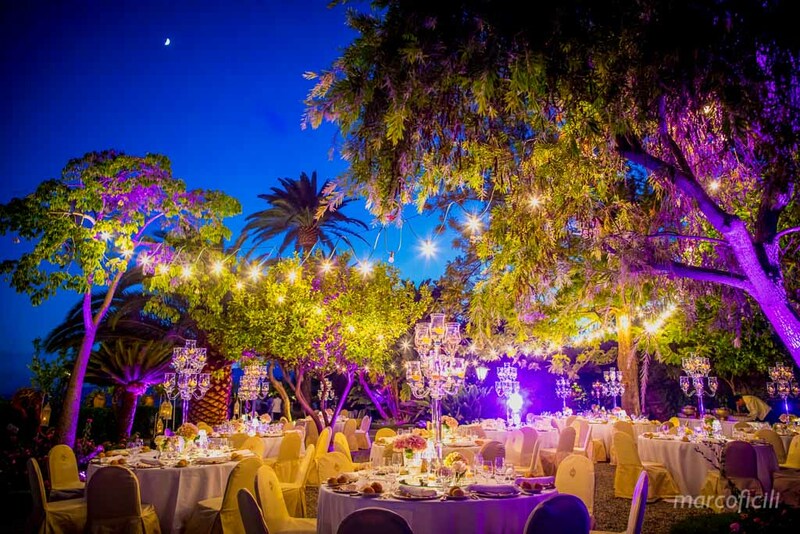 The wedding dinner en plein was a feast of colours, flowers and crystal chandeliers! 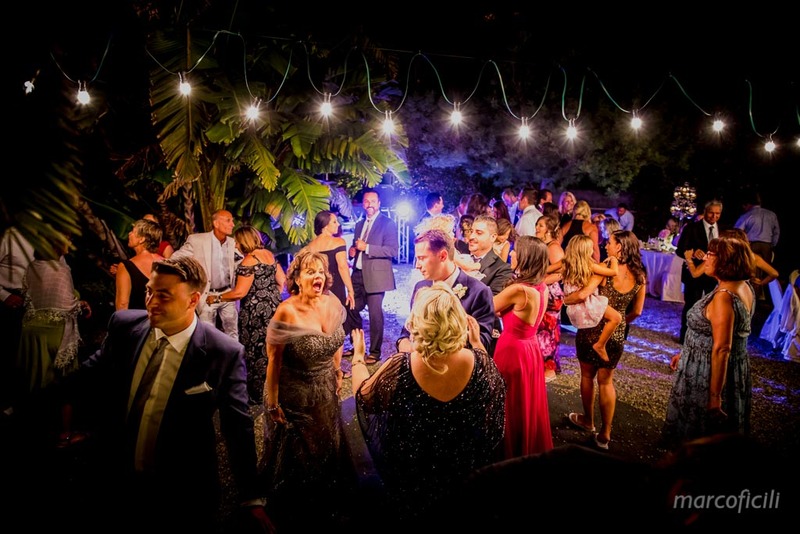 A spectacular and eclectic setting! 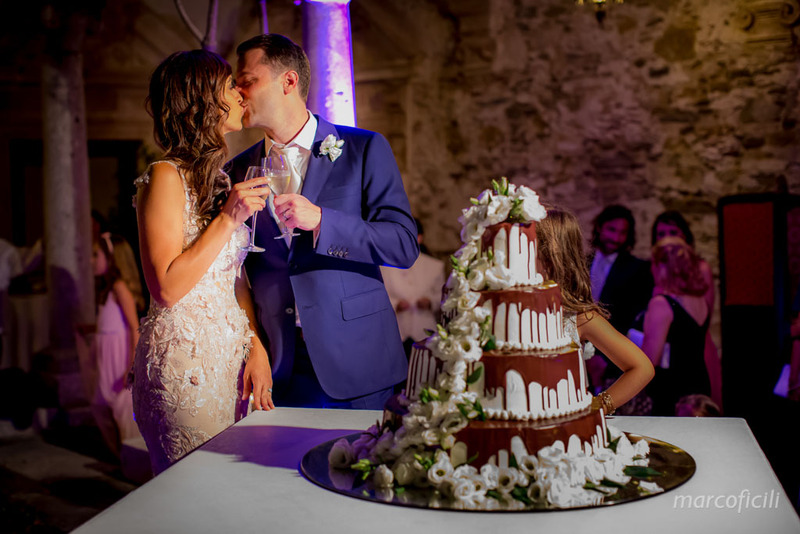 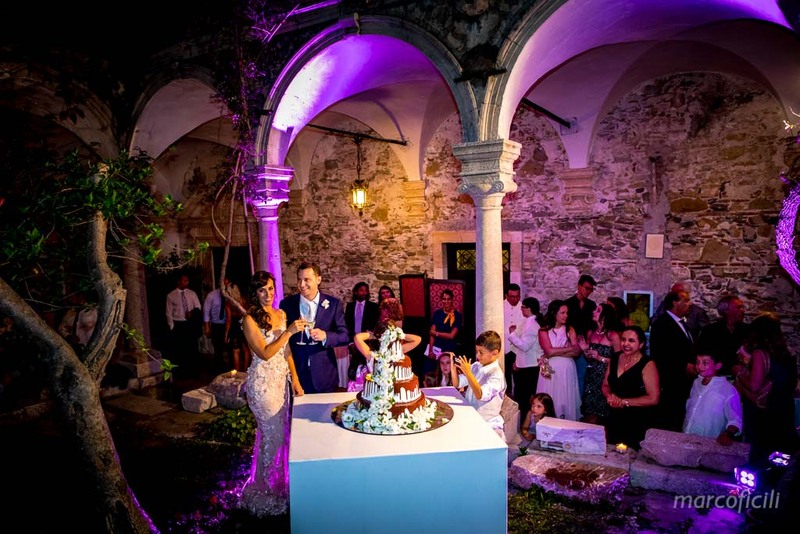 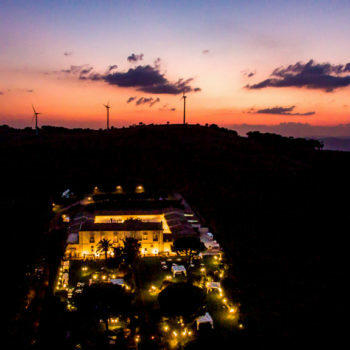 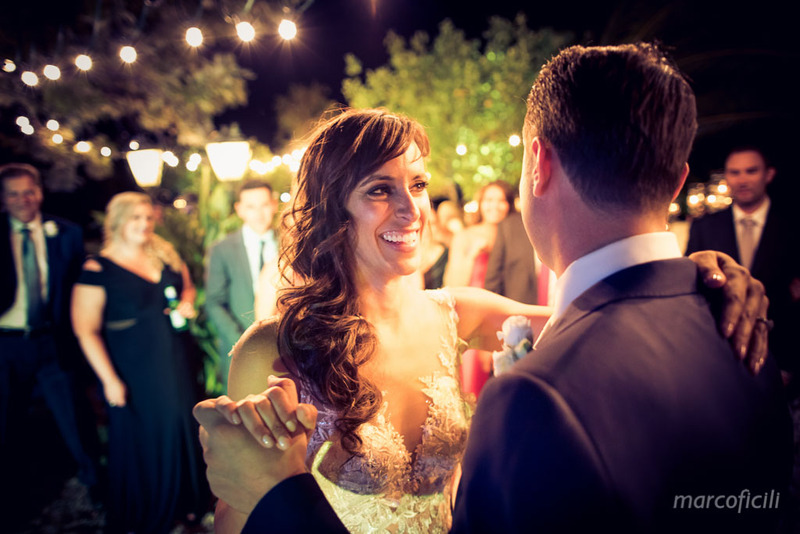 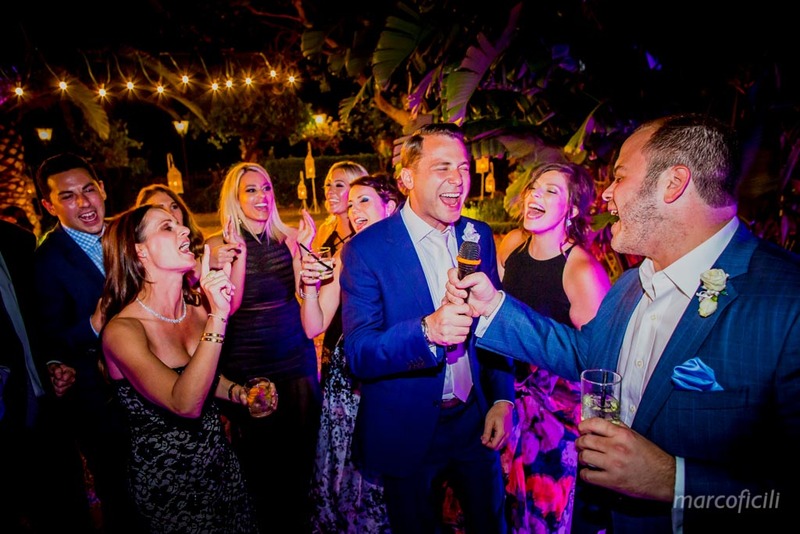 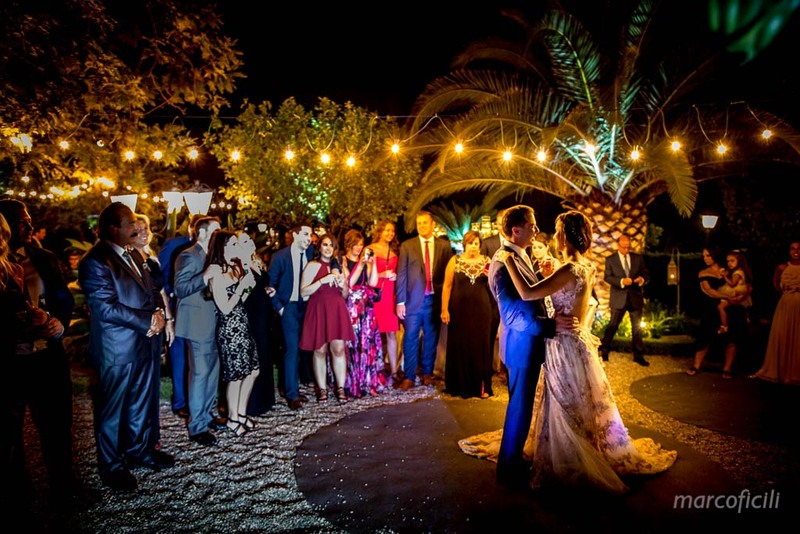 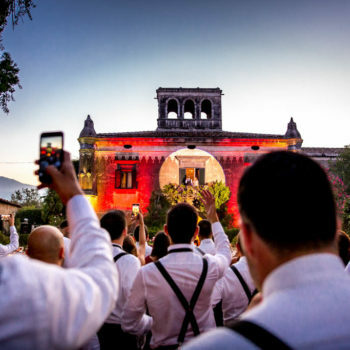 At the end of the wedding dinner, Ryan and Antonella had their first dance as husband and wife and their wedding cake cutting at the magic cloister of the San Domenico Hotel, under the moonlight.